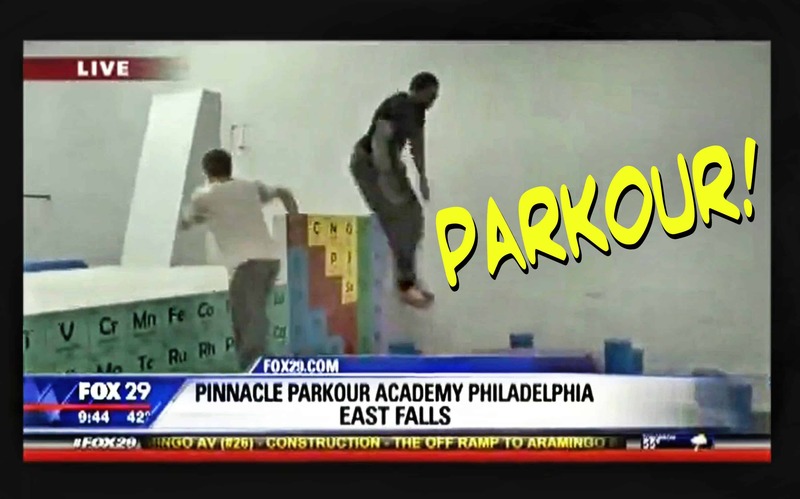 Before we checked in with the Pinnacle folks, I had a limited knowledge of parkour: mostly just ill-fated Youtube clips, and that scene in The Office. 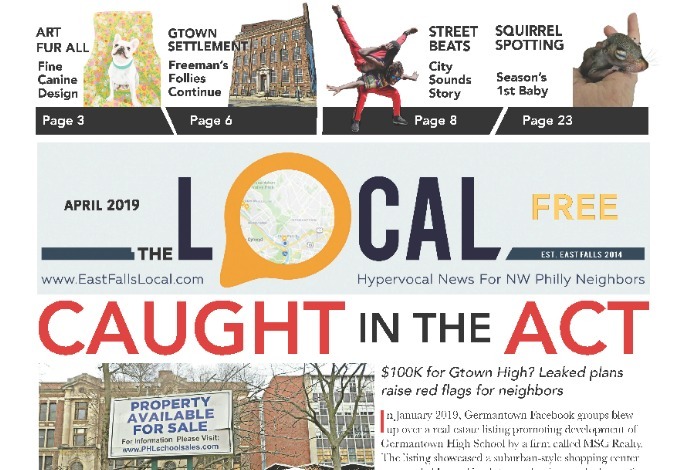 Now, we’ve got a whole gym for this sport in East Falls somehow? Real people are doing this? “It’s not a fad,” owner Andy Taylor stressed, explaining that this modern, urban sport’s popularity is only growing, “Parkour is the ultimate movement discipline — a fantastic way to get in shape.” Like yoga, parkour is often described as a mind-body sport, except instead of seeking zen, parkour practitioners face fears and push out of comfort zones. So what, exactly, is it? Parkour (aka Freerunning) is a system of leaps, vaults, rolls, flips, and landings that practitioners employ to navigate around elements in the urban environment like steps, walls, railings, benches, etc. If it looks kinda”commando,” good call: the disciplines developed from military obstacle course training, with acrobatics and martial arts moves mixed in. Parkour is an amazing workout that conditions strength, coordination, flexibility — it’s even aerobic. 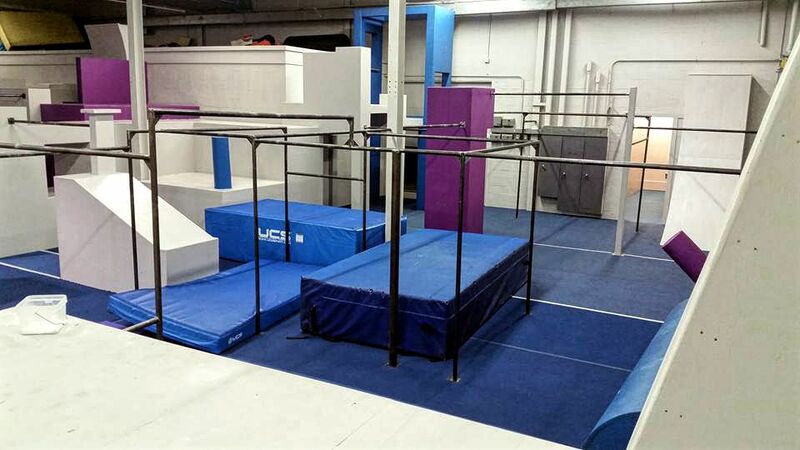 Although challenging, parkour moves are surprisingly easy to learn thanks to progressive training methods that build on small steps everyone can achieve. With lots of encouragement, too. Parkour is a welcoming sport, with a supportive community who enjoy cheering each other onto their goals. Andy and his crew are pumped to show Fallsers whole new ways to interact with our streetscape. 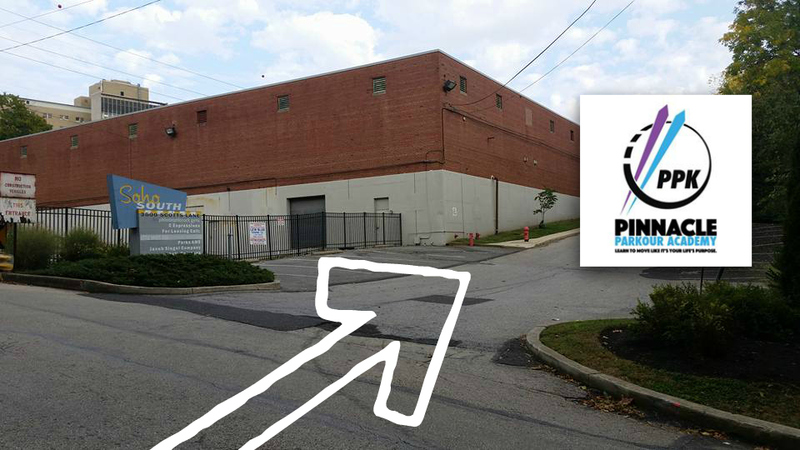 Starting in their gym, of course: 11,000+ sq ft of bars, blocks, platforms, walls, etc. by the Mills off Scotts Lane. 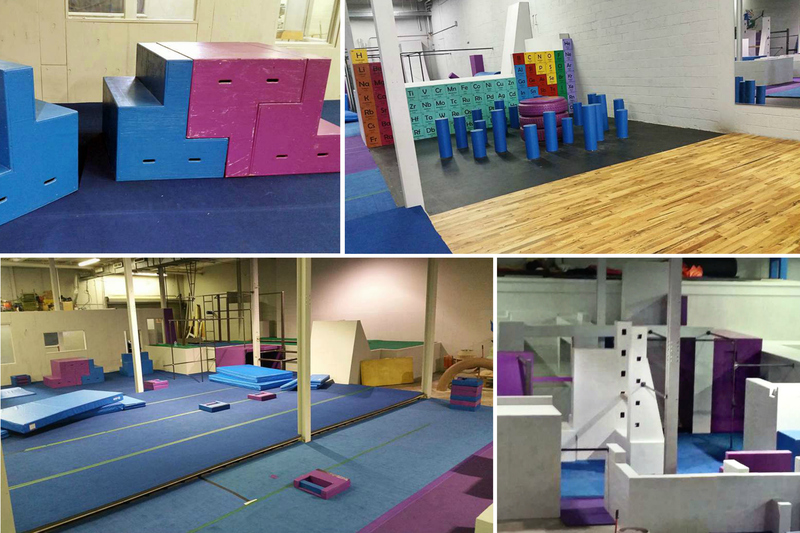 Pinnacle actually designs these obstacles, and builds them for gyms across the country — and for projects such as MAKE-A-WISH Foundation. Truly, I can’t think of a more empowering activity for a kid fighting to live, than learning to soar thru the world like a superhero. 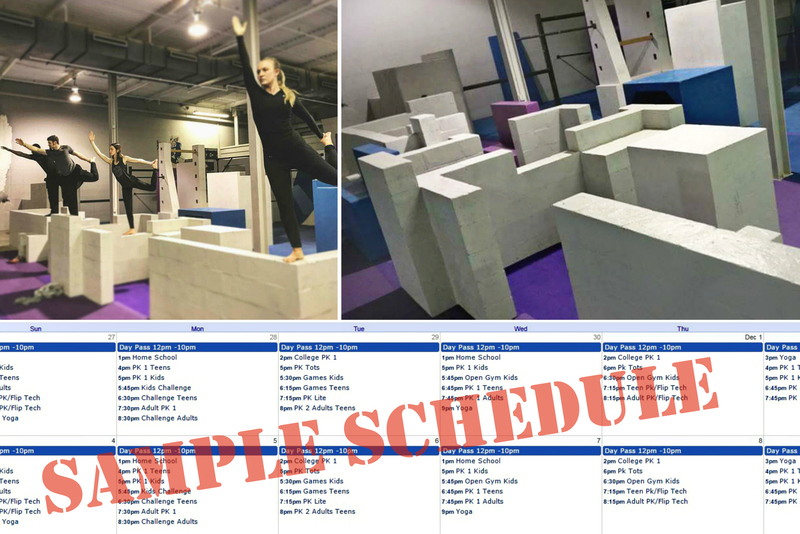 Classes now open for everyone, literally: tots, kids, teens, college kids, adults… even yoga parkour (balancing on the obstacles instead of jumping over them). Events and Open Gyms, too. No special skills needed, just a positive attitude, and the will to work hard and learn. “Adults PK-1 is a great beginner class but we also have PK-Lite for people who prefer low impact,” we were advised. Best part? First class is free! And there’s no equipment to buy — just wear grippy sneakers and loose clothes you can move around in. Come ready to be challenged in fun and exhilarating ways. If you like it, introductory memberships are discounted so you can easily test the waters further. If you reeeeeally like it, you can advance all the way to Instructor Certification. Folks come to parkour for different reasons — some to get fit, some because it looks awesome, others are intrigued by a new way of moving. At every level, parkour and freerunning aim to show us there’s no obstacle we cannot overcome with persistence, strategy & fearlessness. The ultimate urban workout! 11,000+ square feet of obstacles. 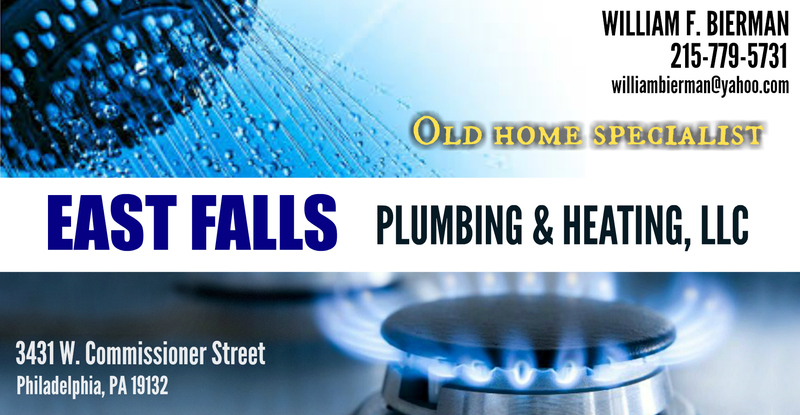 Classes for tots, kids, teens, college students, and adults. Open gyms and events, too.